Target is offering a FREE $5 Gift Card when you buy (3) Oral care Products. 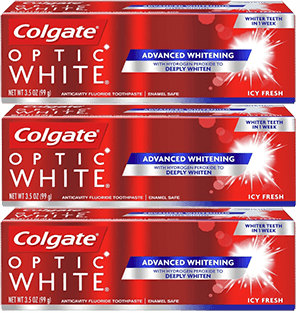 There is a $5.00 off any 3 Colgate TotalSF, Colgate® Optic White®, Enamel Health™, Essentials™ or Sensitive Toothpastes (3oz+) or any Colgate® Coupon that will make these $0.66 each! That’s $1.97 ($.66 each) after Coupon and Gift Card!